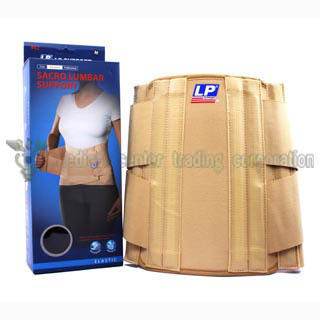 Made of elastic breathable foam material. 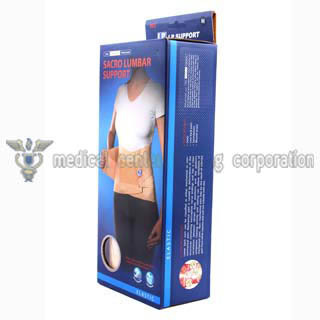 Helps relieve pain in lower back from sacroiliac strains. 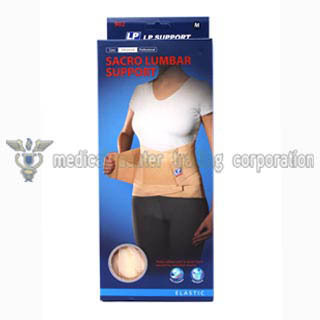 Six pliable stays provide extra support and stabilization for the sacroiliac and lumbar joints. Hook and loop closure to adjust the width of the support for the desired tension.